Kids left today. 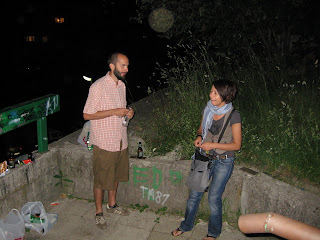 I feel a mixture of excitement about a summer of play and a deep sadness for saying goodbye. One of my little girls cried when she left--for a 6 year old to understand the meaning of goodbye is pretty advanced. People have been exceptionally kind here. 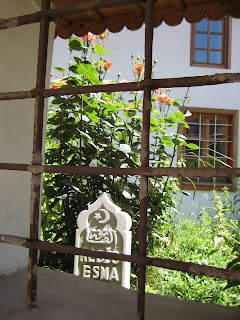 Leaving today I am loaded down with Bosnian souvenirs, beautiful handmade scarves, flowers and chocolate. The boxes are sent to Japan, the apartments are clean, and we have just a few things to do at school before we head to The Netherlands and Belgium for 2 weeks of bicycle riding and camping. Oh, please let it be sunny. 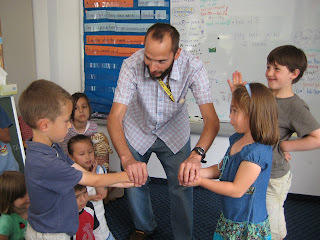 We had a ROCK, PAPER, SCISSORS tournament between our classes during the last few minutes of the day. The girl won. 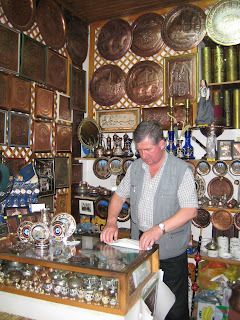 Store owner in Bascarcija wrapping up our copper souvenirs. Edita likes to call this Bosnian Hot. 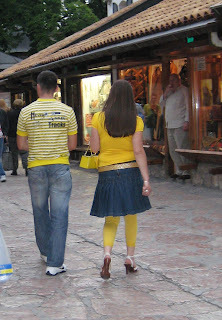 We were on hunt for the best Bosnian Hot outfits. Do you think they coordinated it? 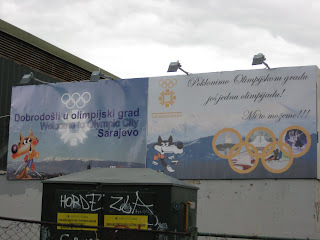 If my Bosnian is as good as I think it is after a few drinks, I believe the sign on the right is promoting another go at hosting the Olympics in Sarajevo. accidents, tour busses, and mines OH MY! Last weekend we tried to get out of town. 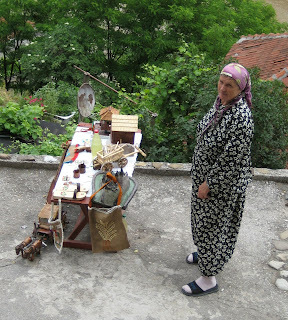 It was our last full weekend in Bosnia and we wanted to spend it with Edita, doing something out of the ordinary. Saturday morning we loaded up Buba to drive out to Mt. Maglich, the tallest mountain in Bosnia. The weather was conspiring against us. 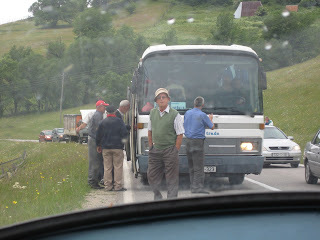 About 1 hour out of Sarajevo we were the first car to come upon a 2 car accident. 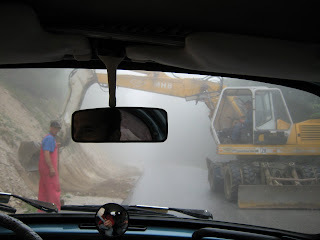 We still have no idea how it happened---the road was only slightly curved and there was excellent visibility. One car was severely damaged. While Edita and I freaked out a bit, James gallantly pulled a man out of the damaged car. He will probably be ok, some broken ribs at worst, we hope. The worst part was the tour bus that pulled up behind us. They unloaded, children in tow, to walk up and check out the scene. We left as soon as we realized we were of no more help and the ambulance was on its way. Not wanting to give up on an adventure, but our road to Maglich being closed, we turned back toward Bjelascnica mountain. 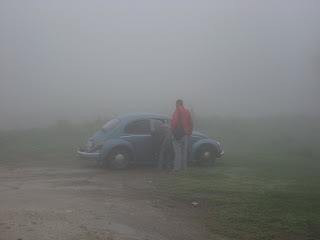 The fog was thick and we had trouble seeing in front of us. 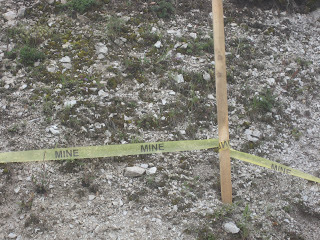 Along the road was an expedition of de-miners. It was so eerie to see big men in protective de-mining clothing coming out of the fog at us, with yellow tape all over the side of the road. 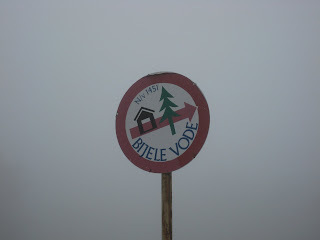 We finally had tea at a nice little mountain house called Bijele Vode (White Water). Nevertheless, we went home feeling slightly defeated. This was made by a current teacher at The American School in Switzerland (where I worked last year). Shows some funny scenes and truths about life in a boarding school. 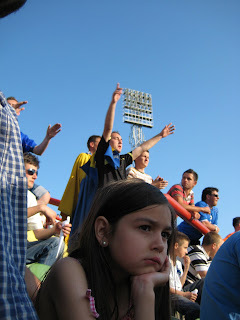 Needless to say, it's a totally different world than here in Sarajevo. 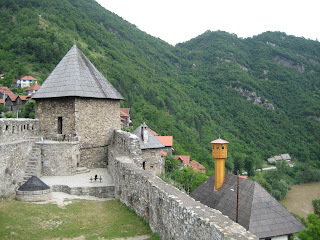 A few pictures from our field trip to Vranduk Fortress near Zenica. 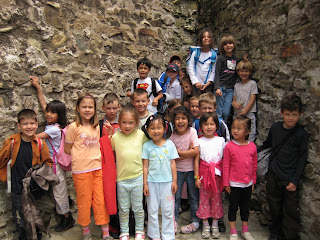 The kids were pumped to ride the bus, eat different food and, oh yeah, see a medieval castle. 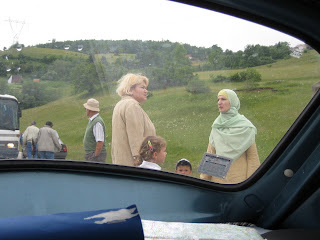 The drive north, on the major Bosnian thoroughfare, was much less littered this time. 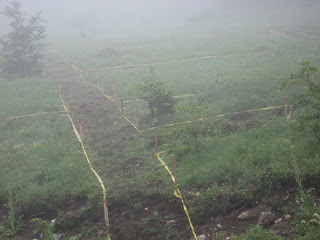 What I did notice was how reliant Bosnians are on the land for their survival. Every home we passed had a garden patch. Every person was out tending the crops, no matter the size. Some people squat on small patches of land near the highway or next to parking lots, just to have a little piece of property to grow green onions, lettuce, radishes, corn. 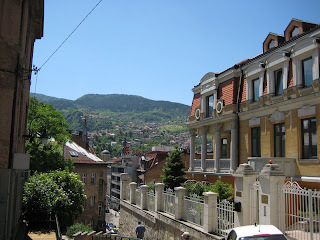 The largest park in Sarajevo has lots of these squatter garden patches hidden among the hills. The high unemployment rate forces many people to subsist as farmers.